The Cape York Peninsula is generally blessed with a warm tropical climate all year round. Cooktown at the base of the peninsula has an average daily maximum temperature that ranges from 25°C in June to 32°C in February. Even its average minimum temperature is quite warm, ranging from 20°C to 25°C. Weipa, in the north has comparable figures, with maximum temperatures ranging from 30°C to 32°C and minimums 19°C to 24°C. Humidity is consistently high, with coastal areas of the peninsula having mean relative humidity above 80% in the wet season, remaining above 70% in the drier months. In the southern inland areas it is a little lower, ranging between 60 and 70% in the more humid months and falling as low as 40% in the dry season. Rainfall occurs primarily in the summer months, with 90% of annual rainfall being recorded in the period November to April. In most years no useful rain is recorded between July and September anywhere on the peninsula. The volume of rainfall varies greatly, with some coastal areas experiencing annual falls of 2000mm whereas inland areas are only 620mm. Generally rainfall decreases with distance from the coast and increases from south to north. The rugged east coast topography causes big variations in rainfall with mountainous areas like the Iron Range recording the highest falls. Weipa, well up the Carpentaria coast, averages 2000mm while Thursday Island at the top averages 1600mm. 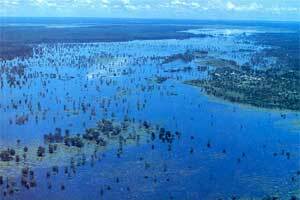 Half of Weipa's annual rainfall occurs in only three months - January to March. 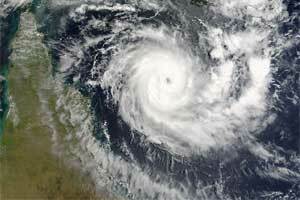 Tropical cyclones occur on average three times each season, between December and April. However, these cyclones do not always bring gale force winds or torrential rain to Cape York Peninsula. The Commonwealth Bureau of Meteorology tracks tropical storms and broadcasts timely bulletins on commercial radio stations providing adequate warnings for residents and visitors.